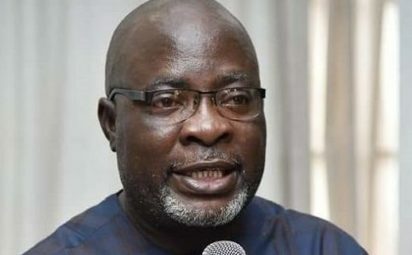 Peoples Democratic Party, PDP, has warned the President Muhammadu Buhari’s government to stop harassing its members, saying their unlawful arrest and detention was an invitation to anarchy. The party described the recent arrest of its spokesman in Kaduna State as highly provocative and one capable of derailing the nation’s democratic order. National Publicity Secretary of the party, Kola Ologbondiyan, stated this, yesterday, while addressing a press conference at the PDP national secretariat in Abuja. According to him, the ruling All Progressives Congress, APC, is bent on instilling fear in the electorate in a bid to scuttle the 2019 general elections. He said: “Our party is concerned over the unwarranted arrest of Director of Media Committee of the Kaduna State PDP governorship Campaign Organisation, Mr. Ben Bako, who has been detained by Department of State Services, DSS, since last weekend. “We are aware that Mr. Ben Bako’s arrest is prelude to the planned clampdown of our campaign officials by the Presidency and the APC, whose aim is to instill fear in the polity, incite crisis and derail the electoral process, having realised that they have lost in this election ahead of the polls. He said some party chieftains in Kaduna have been penciled down for possible arrest by government. The party also warned of dire consequences in the event that Bako was not released unconditionally. “The PDP, therefore, demands the immediate and unconditional release of Mr. Ben Bako by the DSS without hurt or further harassment.